With the debut of Fox Sports 1 on Saturday, August 17 at 6 AM, it was neat seeing the birth of a new channel. I'll never forget the time that I saw the beginning of ESPN back in 1979 when I took a trip to see my friend's Jeff Ryeson and the late Gregory Nicholas as I stayed in their apartment in East Lansing while they were attending Michigan State. I remember for a few days watching Sports Center and the anchors were Chris Berman, Bob Ley, Lou Palmer and the late Tom Mees. It was great watching an all sports channel because I couldn't stomach watching the local news. All I heard about was murders, drug busts, etc... thus it became depressing. Lets turn the clock to 2013. We have ESPN, The NBC and CBS Sports Network. Now Fox Sports 1 and guess what, these same murder and all the arrests stories are all prime topics. There is social media, Twitter, Facebook, etc.., along with online newspapers. There is no way to avoid it. Oh Well. I guess I can't run away this time. So what I'm going to do with this story is compile a list of the most interesting story lines and provide an opinion as to what I think of the good, bad and the ugly. 1. Aaron Hernandez murders Odin Lloyd. If this guy is found guilty of committing this murder and is linked to others, the solution is to give him the death penalty. Lets send a message to these millionaire athletes that you can't buy your way out of the Electric Chair. 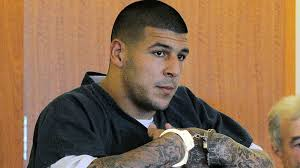 Hernandez is very fortunate that Massachusetts doesn't have the death penalty. The death penalty would catch the athletes attention. I'm glad the New England Patriots gave their fans an opportunity to swap his jersey to get another players, and got rid of him plus not paying out any more money on his contract. 2. Tim Tebow is a guy that I'm rooting hard to make the Patriots roster. I know his Owner Robert Kraft is hoping that he makes the team. How do you not root for a guy that's a model citizen, addresses his boss by calling them sir? If he can't play quarterback, I'm sure that New England can use him as a tight end or emergency signal caller. Bill Belichick is smart and I hope the coach that drafted him in Denver Josh McDaniels can eventually turn him into a solid quarterback. I'll send McDaniels a genius cap if he pulls this off. So will the rest of the Patriots fans. Character has to mean something these days. 3. Alex Rodriguez should have received a suspension larger than 211 games. Commissioner Bud Selig should have used his "Best Interests In Baseball Clause" to force him to sit out immediately. But to the commissioners credit, he figures that out of respect that he's gained with the MLB Players Union, and Michael Weiner, who is terminally ill, they've developed a good enough relationship that this will ultimately work itself out. Selig is correct. Even if Rodriguez does sit out next season, the Yankees could save salary next year, release him, then run him out of baseball. No team will sign him just like they blackballed Barry "All-Time Fraud" Bonds. Need I say more. For every hit, homer and whatever offensive statistics Rodriguez pads, nobody is going to take his statistics seriously. These numbers that deserve asterisks are only for the back of the baseball cards and media guides. Rodriguez is headed to the Hall of Shame. I do believe that the players will hammer out stiffer penalties for cheaters in an effort to protect their reputation as well as not allow cheaters to succeed off of them illegally. 4. Ryan Braun released a statement about his involvement with performance enhancing drugs. While he's made a lot of mistakes and has a long ways to go and restore his credibility, to his credit, the guy took his 65-game suspension like a man. He's getting it over with and he's locked into a long term contract. The biggest thing Braun has going for him is that he's in a small city with less media and good fans. The Brewers have taken the high road and left his jersey's on sale as they'll let the fans decide if they want to purchase them. Braun is lucky that ownership will give him time to hope that he can rehabilitate his image. Since the Brewers are having a losing season, this is the perfect time to see their young talent and what they have to look for in the future. My advice to Ryan is you're the luckiest guy on the planet, but there is no more margin of error. You need to get it right this time. These drugs can kill you. Just ask former NFL player, the late Lyle Alzado who died on May 14, 1992 at the age of 43, who had a brain tumor!! 5. Nelson Cruz and Jhonny Peralta decided to serve their 50-game suspensions in the Biogenesis Scandal while their teams were in pennant races. I give the Texas Rangers credit for acquiring Alex Rios from the Chicago White Sox and the Detroit Tigers landing Jose Iglesias by the trade deadline to fit their needs. I know the Tigers hated to trade prize prospect Avisail Garcia away especially to division rival the White Sox. Peralta was on his way out as a free agent, so the Tigers got insurance now and a cornerstone later. I just hope that the Rangers and Tigers never bring these two players back when their suspensions are over. I understand they would have taken a hit in the wallet as free agents. But the chance to win a World Series wasn't enough motivation to wait and serve them next year. My gut feeling is Texas and Detroit will leave these guys off their post-season rosters and wash their hands of them, if they haven't already. 6. I'm glad that the Chicago Cubs traded Alphonso Soriano back to the New York Yankees where he's in a position to help a team that definitely needed some offensive help. Soriano had 18 RBI's in a four-game stretch and reached his milestone 2000 hit this past week. There will be plenty of more hits to come for Soriano and if the Yankees get real hot, possibly a chance to reach the playoffs. It's amazing that Soriano was the player New York traded for Rodriguez. Now their teammates, at least until the end of the season. 7. Tigers Manager Jim Leyland did a masterful job leading the American League to a win thus ensuring the AL home field advantage in the World Series. Leyland paid respect to future Yankees Hall of Fame Closer Mariano Rivera by inserting him in the eighth inning which was a brilliant tribute to guy that's meant so much to baseball through the years. Everybody in baseball appreciated this move. 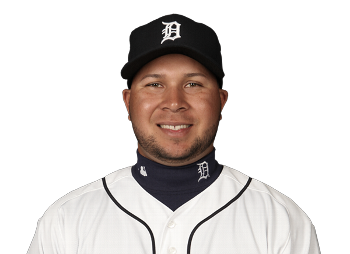 But there would be no mercy on Rivera when Miguel Cabrera hit a pair of homers off him at Yankee Stadium a few weeks later. There is a lot of respect between Leyland, Yankees Manager Joe Girardi as well as the rivalry between the Tigers and Yankees. In my opinion, Girardi deserves consideration for Manager of the Year with all the injuries and distractions he's faced all year. 8. Welcome to the American League Houston Astros. They're currently 44-87 and 32.5 games back of AL West leading Texas. They are the worst team in baseball and were active at the trading deadline sending all of their key players to contenders. But the good news about the Astros being in the American League is we get to see interleague play all season with each league having 15 teams. The old interleague format of games in May and June didn't work for me. 9. It was weird not seeing any new living members inducted into the Baseball Hall of Fame. If there was ever a year that former Detroit Tigers pitcher Jack Morris should have made it to Cooperstown, NY, this was it. The guy led the Tigers, Minnesota Twins and Toronto Blue Jays to World Series titles. He won four championships, was 254-186 with a 3.90 ERA and 2,478 strikeouts. But he played his entire career in the American League. Cut the guy some slack. 10. Thanks to the antics of Texas A&M Quarterback Johnny Manziel, whether the punk is signing autographs for cash, making ridiculous tweets, getting kicked out of cross state rivals fraternity houses, I don't like the future odds of freshman winning the Heisman Trophy. His immaturity will turn off future voters since he's set a bad example. What's worse is that with all the attention this punk is getting, whether he knows it or not, this kid has now placed a Bulls Eye on himself and the team. The SEC has won seven straight national titles. Every lineman will be looking to knock this kid out of games. Ultimately, because he signed a letter of intent, he's not allowed to receive cash on scholarship, the NCAA will knock him out soon enough. If he gets to the NFL, these players will destroy this punk. Johnny better grow up real quick or he'll get hurt in the pocket book, lose eligibility and get hammered on the field. This is Texas A&M's second year in the conference, these teams watch video and figure you out. My prediction is that the Aggies will finish 7-5 or 8-4 at best. This should do it for these story lines but there will be more as football season approaches. This will be a very different college football season which I will explain in a future blog. Good luck to my friend Ryan Field, who used to work at Fox Sports Detroit landing a job at Fox Sports 1. Have fun with the LA traffic buddy. I look forward to seeing you, My longtime buddy Chip Namias and taking My sweetheart Candy to see California for the first time. One other note, according to the LA Times, Vin Scully is coming back for his 65th year with the Dodgers in 2014. In my opinion, the 85-year old is the greatest broadcaster ever. I don't know where I'll be by the end of the 2014 NFL Season, but I have an idea where the St. Louis Rams won't be. The organization that runs the Edward Jones Dome said the facility will not get a public funded $700 million upgrade that the St. Louis Rams requested. St. Louis Convention & Visitors Commission President Kathleen Ratcliffe informed the Rams of that decision recently. The decision allows the Rams to break their lease with the dome after the 2014 season, creating the possibility that they could leave St. Louis. To me, there is one possible destination. 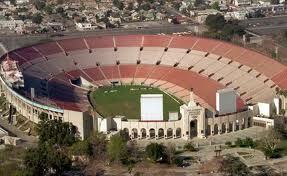 The Rams played in Southern California from 1946-1994 starting out with the LA Coliseum then moving to Anaheim. Some great players that played for the LA Rams include Rosey Grier, the late Merlin Olsen, late Deacon Jones, Roman Gabriel, Jack Snow, Jack Youngblood, and Pat Haden. Joe Namath finished his career in Los Angeles however, bad knees limited him to one season. Other players include Vince Ferragamo, Wendell Tyler, Jackie Slater, Jack "Hacksaw" Reynolds and Eric Dickerson. Coaches that had successful runs in LA include George Allen (1966-1970), and Chuck Knox (1973-1977, 1992-1994). Knox and Hall of Fame Coach Don Shula were former Lions assistants who went on to have stellar careers as head coaches with other teams. The Lions had another chance to land Knox later but decided to hire Monte Clark instead. Knox was a Lions assistant from 1967-72. Should the Rams return home and create the scenario "Back To The Past," I have a strong feeling there will be very little objection from NFL Commissioner Roger Goodell. To land the No.2 TV Market will be a no-brainer. If St. Louis loses the Rams, which won Super Bowl XXXIV 23-16 on January 30, 2000 over the Tennessee Titans, then it would be the second NFL team that this Missouri city has lost when the Cardinals departed for Arizona in 1987. The Cardinals were in Missouri from 1960-1987. One thing is certain, if St. Louis loses this franchise, the No. 21 TV Market won't get a third team. I wouldn't rule out the possibility that the Rams could have company in LA if the San Diego Chargers lease doesn't get straightened out. San Diego's TV Market is 28th and the NFL could have a team in the AFC and NFC. Diehard Chargers fans could take the trip up the freeway to see their team play in LA. In 1984, San Diego lost the Clippers to LA. How many people really cared? How many of today's baby boomers remember the San Diego Clippers? The San Diego Clippers existed from 1978-1984. Should the Rams return to LA, they have unfinished business. In 1979, Ferragamo led the 9-7 Rams to Super Bowl XIV but lost 31-19 to the Pittsburgh Steelers on January 20, 1980 in front of 103,985 at the Rose Bowl in nearby Pasadena, CA. As I watch pre-season football, I wonder how much longer we'll be talking about the St. Louis Rams. Stay tuned. I have a feeling this story is far from over.